So today we’ve been to YWAM Harpenden. For those of you who don’t know YWAM stands for youth with a mission. They have bases nearly all over the world and my local is at Harpenden – just past Luton Airport. So we came down for the Apple Festival. There’s various bits and pieces like a bouncy castle and a game of twister. 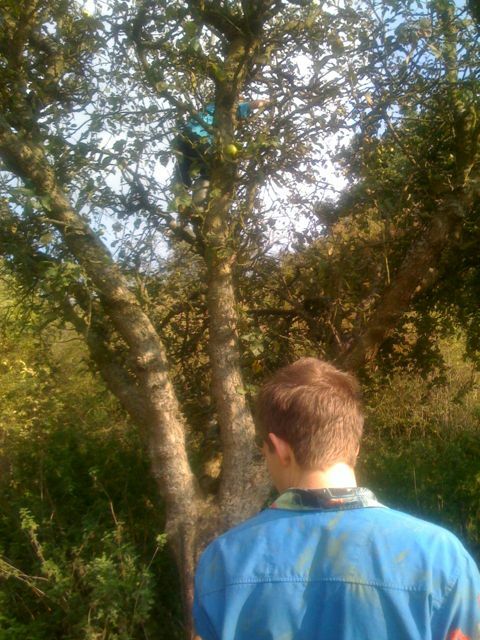 Then in the orchard there’s people climbing trees and now Lambkin and The Murf are playing hide and seek. Will write some more later but here we have a photo for now.